Cori Coogan, President and head designer of Roots, has been in the floral industry for 18 years. She started from the bottom and steadily moved up to designing. She has managed and freelanced for several shops but has known for a while that she wanted to branch out on her own. The dream was made possible with the help of her mother. Cori says, “Knowing that I wanted to specialize in weddings and parties, there’s no way I wanted to do it alone.” So she partnered with her sister, Jacqueline and brother in law, Peter and they opened Roots, Flowers and Treasures, in Port Jefferson, N.Y.
Jacqueline Cintorino, CFO, Sales and Marketing Specialist has worked with Cori throughout her career and has assisted her in with a number of functions. “ Cori has been coordinating and designing parties out of our moms basement for years and she always made me help her, and eventually I began to love it too!” Jackie adds, “Having a place in someone’s special day is more rewarding when you have had the chance to help create it. 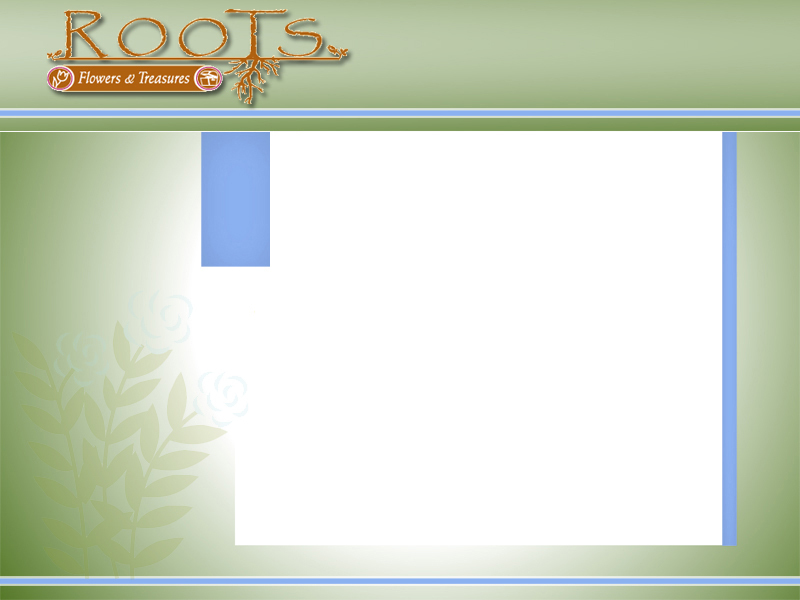 At Roots we are enthusiastic, patient, and most important, we listen to your expectations. We thrive on creating your ideas and dreams and will do it according to your budget. From the most intimate affair to a grand ballroom event, we will be there from the initial consultation all the way to pining the boutonnières on the groomsmen.